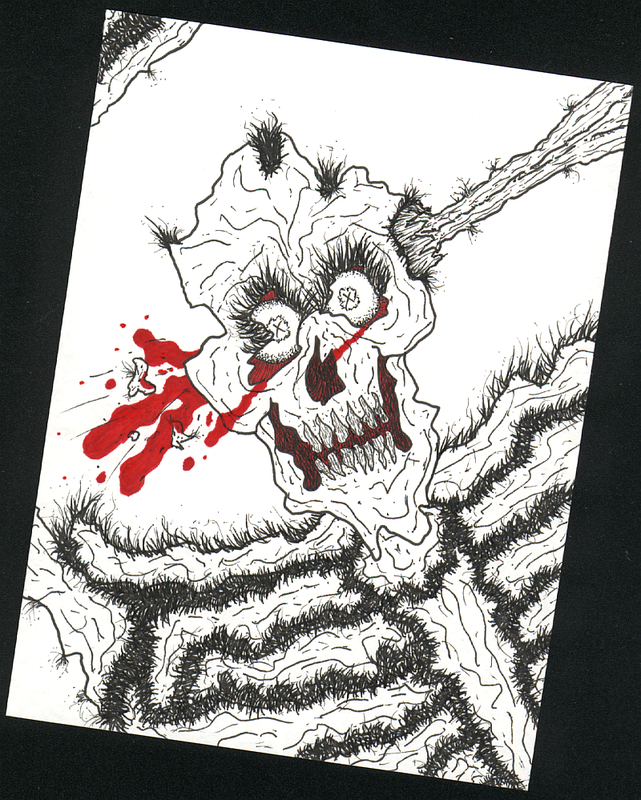 This entry was posted in 40's, adult themes, anxiety, commission, Drawings, Fuzzy Skeletonian, marker, Mixed-Media, nose bleed, Perception of Pain, skeletons, watercolor by Eddie. Bookmark the permalink. Indeed, this is exciting stuff. Especially love that it’s a rockin’ girl band! Happy Thanksgiving!